Today is the 11th day of the 11th month, 100 years after the start of “The war to end all wars”. At the 11th hour there will be silence in memory of all those who have given their lives in armed conflict and to remember the families who have lost their loved ones. I might be in Dubai, but I have my poppy and will not forget. Today is also 210 days since the world was shocked by the abduction of 276 girls by Boko Haram from their school in Chibok in Northeastern Nigeria. Some of the latest news is reported here. 219 of those girls are still missing, 57 rescued themselves. Their government and governments around the world have said much but achieved nothing. During my 3 minutes’ silence I will be thinking of all those who gave their lives to secure a better world for generations to come, to appreciate their immense gift to us, and to wonder what can be done to turn around what feels like a slide into darkness since the Great Recession which began in 2007. 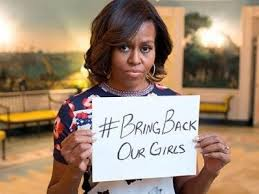 Where is the political will to bring back the Chibok girls, to release the prisoners of Islamic State and to facilitate a future for the millions (yes millions) of refugee s forced from their homes, businesses, schools and families for their very survival? Why do so many of us think that we can do nothing? Even those with great wealth and great power are not empowered to try to help beyond well-meaning selfies. There are real things we can do. 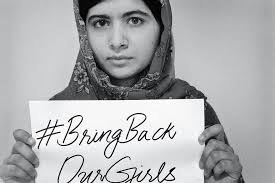 “We are so tired of your wars” said Malala to the UN. It is time for peace. It is time for equality and it is time to get off our butts and do everything within our power to change our global leaders from self-serving, shortsighted and unempowered to wise, compassionate and determined… and above all respecting of human rights for all. 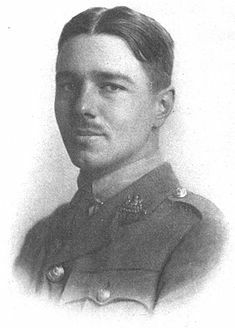 I had to study this poem by Wilfred Owen as part of my GCSE English Lit. It has stayed burnt into my heart and mind ever since.